Thai Airways is increasing its presence in KWI-Kuwait in a very bold manner by launching 5 weekly nonstop terminator flights using their premium aircraft i.e. a 3 class configured Airbus A 340-600 which seats 267 pax. No more will flights will be flown to KWI via DXB . This is in effect from April 2009. With regards to Dubai, effective April 2009, frequencies will be increased from 10 weekly to double daily flights. All will be operated with a 2 class A 333 and out of those 14 flights, 4 are flown via MAA -Chennai, India with full 5th freedom traffic rights. What TG will be targeting in KWI with their A 346s is varied. Obviously the top priority will be O&D business and leisure traffic that exists between the 2 states but most of all, it will aim to get the high yielding F & J class flying business and political traffic bound via BKK to Australia, China, TPE, Japan, HKG, ICN, SGN, MNL aggressively.They will pitch to the local agents how good their in-flight product is compared to KU's A 343s which fly KWI-BKK-MNL (6 times per week) + how superior their FFP program is versus KU's + all the excellent connections they have on offer eastwards via BKK. One feels that TG has more to gain with a nonstop BKK-KWI-BKK 5 weekly service than SQ does with a 4 weekly B 772 flying SIN-AUH-KWI service. TG will be offering one stop flights via BKK to any where in Australia/Far East Asia where as SQ will be a more inconvenient 2 stop option using an older B 772 which will probably not have the new F and J class in-flight product. On this route as well, TG will get a lot of cargo to/from South Korea, China, HKG, TPE and Japan as KWI is the gateway to Iraq and has good trade links with these countries. JFK / AMS - all flights suspended. IAD / AMS - all flights suspended. MEM / AMS - capacity reduced from daily A 333 to daily A 332. BOS / AMS - frequencies reduced from double daily to 13 times a week. CVG / AMS - capacity reduced to daily B 757 rather than daily B 763ER. JFK / BUD - frequencies increased from 4 to 6 times per week using a B 763ER. JFK / FCO - frequencies reduced from double daily to 11 times a week using an A 333 daily + 4 weekly B 763ER. JFK / MAD - capacity increased from a daily B 763ER to a daily B 772ER. JFK / VCE - capacity reduced from daily A 333 to daily B 763ER. ATL / LHR - capacity increased from daily B 763ER to daily B 764ER. Qatar Airways has revealed ambitious expansion plans for its route network in 2009 with the launch of new nonstop flights to Australia, new destinations in India to be launched, 2 un-named European destinations and lastly a reconfiguration of its Airbus A 340-600 cabin capacity. 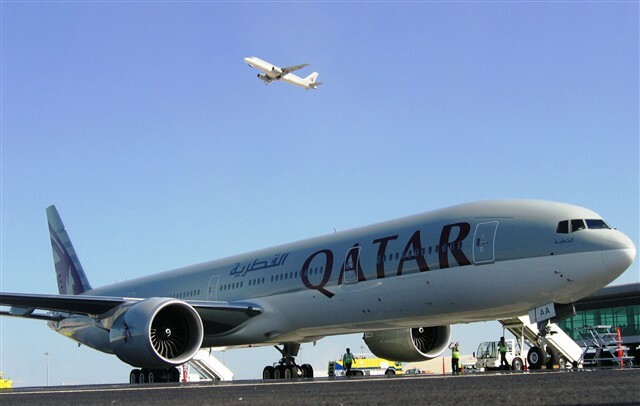 With regards to Australia, QR's CEO has confirmed that new daily nonstop flights will be flown to Sydney and Melbourne respectively from its Doha hub effective October 2009. 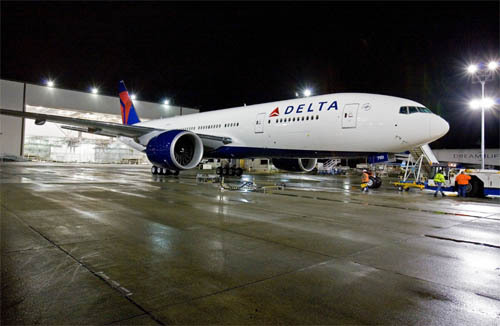 Both cities will be served using QR's 2 class configured Boeing 777-200LRs which seat 259 passengers. As far as India is concerned, the states of Qatar and India have managed to successfully amend their air bilateral accord with the addition of Amritsar and Goa as the cities in India that QR can fly to nonstop from its Doha hub. No mention of how many flights per week QR has been allowed to fly into ATQ and GOI respectively but one imagines it is a daily frequency. To GOI, QR will be using an A 320 where as ATQ might get an A 321 or A 320. With regards to its A 346 cabin, QR's CEO has officially confirmed that it will be removing its First Class lounge on board this aircraft and replacing its space with the addition of 44 economy class seats which will increase the capacity of its A 346 by 16% i.e. from 266 to 310 seats. Lastly, with regards to its Doha-Moscow route, capacity on it will be reduced from 5 weekly A 332s to 5 weekly A 320s effective June 2nd 2009. They say that "patience is a virtue that few possess" and its safe to say that QR's CEO and its management team exemplify this analogy. Since 2003, QR has been lobbying aggressively for adequate access to Australia enabling it to compete effectively against SQ/EK/TG/CX/BA on the "Kangaroo route". In 2007, a bilateral between Qatar and Australia was signed which allowed daily access to MEL and BNE only but QR was admamant that SYD be included in it and didn't want to launch its Aussie venture without having SYD on board. The flame was further fueled when it was revealed that EY got rights to fly into SYD before MEL in 2007 due to the close links that their CEO Mr Hogan has with the Aussie Govt. QR still stuck to their guns and did not want to launch Australia bound flights until their demands were met. In the end, the long wait and QR's perserverance sure did pay off for the airline's long term benefit. **These flight timings mentioned above allow perfect connections via DOH in both directions to LHR, MAN, CDG, FRA, DXB, CAI, AMM, BEY, ATH, proposed BHX/DUB (mentioned below), IST, MXP, FCO, DME, TXL and VIE which should be enough to fill up the flight on a year round basis. a) Suspend all flights to LGW-London Gatwick from Oct 1st 2009 as the route is a huge loss maker for the carrier. There is absolutely no financial logic what so ever to continue flying the route just for prestige purposes and to compete against EK. It should follow EY's decision in 2007 to suspend the route before the losses grow as it serves the LON market adequately with 4 times daily service into Heathrow which is more than adequate. **These flight timings mentioned above allow perfect connections via DOH in both directions to India, Pakistan, Australia, HKG, SIN, DAC, CMB, DPS, KUL, PEK, PVG, KIX, CGK, CAN and GCC. This should be enough to fill up the flight on a year round basis. The new DOH-ATQ-DOH flights should be timed as per the current timings of its DOH-DEL-DOH service. **These flight timings mentioned above allow perfect connections via DOH in both directions to India, SYD, MEL, Pakistan, Australia, HKG, SIN, DPS, KUL, PEK, PVG, KIX, CGK, CAN and GCC. This should be enough to fill up the flight on a year round basis. 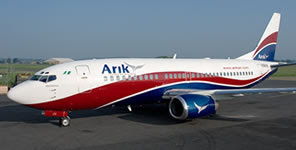 Arik Air of Nigeria has entered into formal talks with India's Kingfisher Airlines to lease out the latter's 2 Airbus A 330-200s to fuel their international expansion. KF has total of 5 A 332s on order of which 3 have been delivered to the carrier and it doesn't see the financial need to integrate the remaining 2 into its fleet for the time being. Arik Air too confirmed that its second and third Airbus A 340-500 will be used to launch new daily nonstop flights from its Lagos hub to New York JFK and JNB-Johannesbourg, South Africa. Its sole A 345 is currently being used on the popular LOS-Heathrow route. If Arik Air gets 2 A 332s, it should then seriously consider launching daily nonstop flights to JED from LOS as that is a good yielding high density flown route year round. The second A 332 should be used to either launch daily flights to CDG or DXB. From both CDG and DXB, there is decent amount of O&D VFR/business traffic as well as excellent interline opportunities exist with other carriers to tap into. Emirates has officially confirmed that effective June 1st 2009, it will be increasing capacity to YYZ-Toronto by replacing the 3 weekly Boeing 777-300ER operated flights with the larger Airbus A 380. The super jumbo will come from the JFK route which is been downgraded due to low loads on the A 380 operated flights. As a result, DXB-JFK from June will become a double daily B 773ER service. 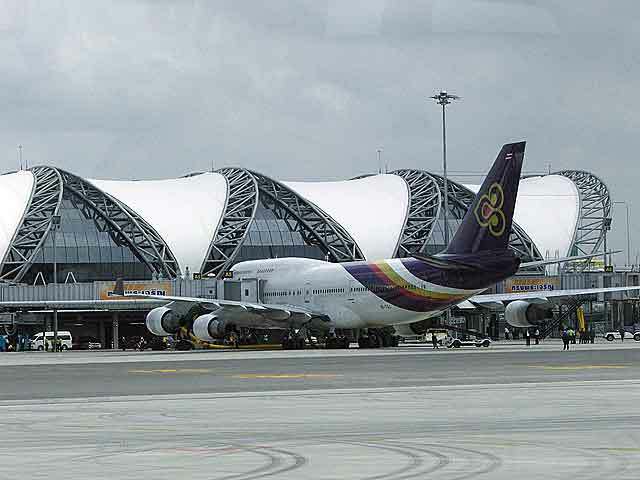 On the other days of the week when YYZ wont see the A 380, it will be used on nonstop flights to Bangkok. Emirates has officially confirmed that it will be increasing flights to DMM-Dammam, Saudi Arabia from May 2009 from 5 weekly flights to daily. On the DXB-DMM route, EK will be using a B 773A once a week + an A 332 six times a week. EK has also confirmed that its reduction of Beijing and Shanghai flights from double daily to 12 times per week each to both destinations is a permament fixture and not a temporary one as it is also reflecting in the GDS system for the Winter 09-10 season. 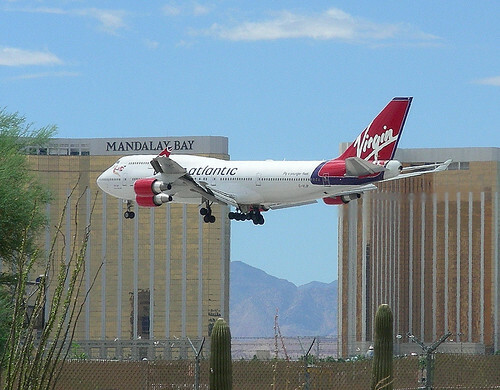 Virgin Atlantic and Finnair have both officially announced that they will be suspending their respective flights to Mumbai, India due to high losses that they incurred. Where as a majority of VS's traffic was O&D, a vast majority of AY's traffic was 6th freedom transit traffic bound for UK, CPH, ARN and OSL via their HEL hub. Both airlines will cease operations to/from BOM effective May 2009. VS has too confirmed that it will be reducing capacity to JNB-Johannesbourg, South Africa from April from a daily B 744 to a daily A 346. With Kingfisher launching new BOM-LHR flights with an A 332 and Air India increasing capacity by flying a daily terminator BOM-LHR effective April using a B 773ER, someone on this key route was bound to call it quits. Unfortunately, it was VS! Asiana Airlines of South Korea has officially confirmed that from June 2009, it will be increasing flights to New York JFK from 4 weekly nonstop flights to daily services from its ICN-Seoul hub. All ICN-JFK operated flights will be flown using a Boeing 747-400. 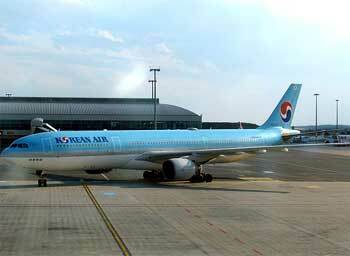 Korean Air has officially confirmed that it has purchased 6 new Airbus A 330-200s directly from Airbus as part of its fleet renewal program. These 6 A 332s will be used as a direct replacement for KE's remaining fleet of A 300-600Rs. Also KE confirmed that it will be upgrading its in-flight product on the ICN-JFK route to a daily B 773ER from Sept 1st which has the new seat product in all 3 cabin classes. Afriqiyah Airlines of Libya has officially announced that it will be launching new twice weekly flights from Tripoli, Libya to Manila, Phillipines via Dubai effective July 17th 09. This new flight will be flown using an A 330-200 and will have 5th freedom rights on the popular DXB-MNL-DXB sector as well. As a result, its overall weekly frequencies on the TIP-DXB route increases from 4 to 6 times per week.